Follow the trail of the 19th-century gold rush to the "Capital of the North," the regional commercial center of Francistown. In 1867 Karl Mauch discovered gold along the Tati River, sparking southern Africa's first gold rush; two years later, a group led by Daniel Francis came to search for it. Today, the area remains a center for mining and agriculture. 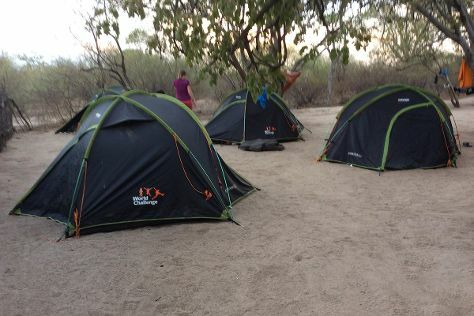 The surrounding landscape and its camping options make a Francistown vacation suitable for outdoor exploration. A museum adds cultural interest, tracing the region's heritage, while the city's airport and other transportation links keep a steady flow of travelers coming through town. Francistown is in North-East District. Whether you only want to go to Francistown, or have a whole adventure planned, Inspirock has you covered with our user-friendly Botswana vacation maker app . Francistown provides several accommodation options--from budget-friendly campsites, lodges, and hostels, to several mid-range hotels and luxury villas. Green grass, palm trees, and onsite bars await those willing to spend more. High-end hotels might also include pools, gyms, and squash courts, but prices reflect the extra benefits. Campsites with water and open fire facilities attract more adventurous travelers, where the open night skies and untamed nature reflect Botswana at its finest.